The difference between a mammogram and a breast MRI is something many women are now questioning, as MRIs are increasingly recommended for people who have a high risk of developing breast cancer. While MRIs may detect more breast cancers than mammograms, especially in women who have dense breasts, they are not only much more expensive but more likely to result in false positives; a diagnose of breast cancer when it's not actually present. Let's look at some more of the differences between these two tests, the advantages and limitations, and when an MRI may be recommended as a screening test with or without a mammogram. Before comparing these two tests, it's important to note that other studies may be needed as well. For example, a breast ultrasound is an excellent test for determining whether a lump is a cyst or solid, and can do so more clearly than a mammogram and much less expensively than an MRI. It's also extremely important to point out that studies such as a mammogram or MRI can't diagnose breast cancer, but can only give clues as to its presence. A breast biopsy is needed if a cancer is truly suspected. There are a number of differences between mammograms and breast MRIs, but it's important to note that one test is not necessarily much better than another, but that each has its advantages and disadvantages. During a mammogram x-rays penetrate your breast to record differences in the density of your breast tissue. To get different views of your breast, each breast will have to be repositioned and imaged twice. For the best image, compression will be used so that your breast tissue will remain motionless and will be thinner during the exposure. MRI's are able to detect abnormalities that may be missed on mammography, especially in younger women and women who have dense breasts. Mammograms use X-rays are known to cause DNA damage to cells, so the lowest possible dose will be used to take the image. With an MRI, no radioactivity is used. Many people wonder how a 3-D mammogram compares with a conventional mammogram or an MRI. A 3-D mammogram takes multiple images of the breast to create a 3-dimensional picture. In many ways it is similar to a mammogram (and has the same advantages and disadvantages relative to MRI), but can be better at determining the size of a cancer and appears to reduce the risk of false positive results. In terms of comparing the pluses and minuses of each test, breast MRIs are more expensive than mammograms. They are also slower, usually taking 30 to 60 minutes, whereas a mammogram takes about 10 minutes. In addition, with a breast MRI, a woman may experience some claustrophobia. That said, breast MRIs may be better at finding certain cancers than mammograms, especially in younger women or those who have dense breasts. This increased detection, however, comes at a price, and MRIs are more likely to find things that turn out not to be cancer (false positives), resulting in unnecessary anxiety and tests. This is why MRIs are currently reserved for women at high risk of developing breast cancer. The guidelines for screening mammograms vary between different organizations. The American Cancer Society recommends beginning annual mammograms at age 40, but this is for women of average risk. For those at a high risk the recommendations can vary as to the time to start screening, and whether mammograms, MRIs, or both should be used. Have one of the other genetic mutations that raises breast cancer risk, such as CHEK2, PALB2, ATM, and more. 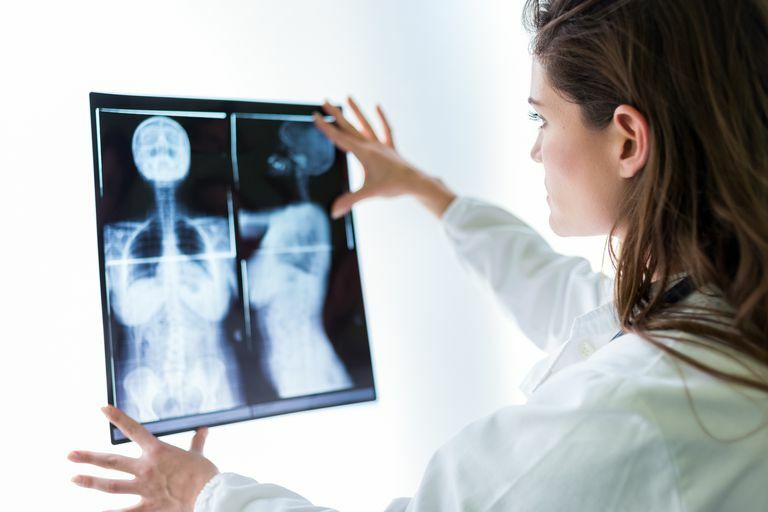 Some women who have a personal history of breast cancer or breast conditions who carry a high risk for developing breast cancer in the future, like atypical ductal hyperplasia, may also need an MRI. Also, women with dense breasts on a mammogram may need a breast MRI. Women who have had a mastectomy for breast cancer on one side are often offered regular MRIs on the contralateral (non-involved) breast, especially for women diagnosed at a younger age. In addition, breast MRIs are sometimes used to look more closely at suspicious areas on a person's mammogram, or to get a better look at the breast in someone who has already been diagnosed with breast cancer. Neither a mammogram or MRI are foolproof in finding all breast cancers. For example, roughly 20 percent of breast cancers will not be detected on a screening mammogram. Even if both tests are normal, a breast biopsy is usually needed for women who have a breast lump that is suspicious for breast cancer. Every woman is different, and it's important to talk to your doctor about your own individual breast cancer risk, and breast-related conditions you have, and more. Keep in mind that physicians have different levels of experience in evaluating breast cancer risk, and it's important to find a doctor who understands your concerns, and seek a second opinion if needed. Since recommendations on when to do an MRI along with a mammogram are relatively new, it's important to be your own advocate and request the test even if your doctor does not bring it up. If you believe your are high-risk, have a known gene mutation, or suspect your may carry a gene mutation, meeting with a genetic counselor can be invaluable. Testing is currently available for 20 to 40 mutations that raise breast cancer risk, but should not be done without an understanding about what you may learn or the limitations of the science at this point in time. In addition, it's thought that many of the mutations that raise risk have yet to be discovered, and therefore testing is not currently available. Based on your family history, a genetic counselor and your physician may recommend more intense screening even if your genetic tests are negative. Many people who are previvors, that is, surviving a predisposition to cancer, have learned of their risk through their own research. It's important to be your own advocate in this area of medical that is rapidly changing. For those at risk, groups such as FORCE (Facing Our Risk of Cancer Empowered) provide not only information, but a place to connect with others facing similar questions and concerns. Speak with your personal physician about when you should start breast cancer screening and whether you are average or high risk. Share any concerns you have about your mammogram and/or breast MRI with your doctor.